It’s never been uncommon to see towns and cities twinned with others. The town where I live, for example, is twinned with places in both Germany and France. I suppose the reason is for international relations, although aside from reading the names of these places on the signs on the town’s edges, I’ve never heard word about them. I bring this up simply because this is a story where the idea of town twinning reaches new levels of strangeness. The story takes us to the eastern reaches of Europe – that’s as clear as it gets – to the city state of Besźel, a decaying city that has seen better days. It does however have one very bizarre and unique quirk – it shares the same space as a second city, Ul Qoma. The cities overlap almost entirely, sharing a location but very little else. Each city has its own language, fashions, currency, citizenry, and even different names for the streets, and certain streets and buildings that only belong in one city or the other, meaning all citizens have to ignore – “unsee” – all the ones that aren’t in their city. And it’s not just buildings – people cannot notice certain people, vehicles and even trees, lest they be accused of breach and are whisked away to a place by strange figures whose activities are the stuff of rumour and legend. Inspector Tyador Borlú of the Extreme Crime Squad in Besźel has lived there all his life, and it is second nature to him to avoid seeing anything in Ul Qoma. However, he becomes involved in a murder that looks more complicated than he would like. A student from the university in Ul Qoma has been found dead in Besźel, suggesting that it’s an obvious case of breach. He implores his higher-ups to activate Breach, the shady organisation that seems to exist between the two cities, protecting everyone from seeing what they shouldn’t see. However, when evidence comes to light that the body has transported legally across the border, he finds that Breach will not be invoked. He must now solve the case, even if it means going into Ul Qoma itself. I had a few problems with the book. 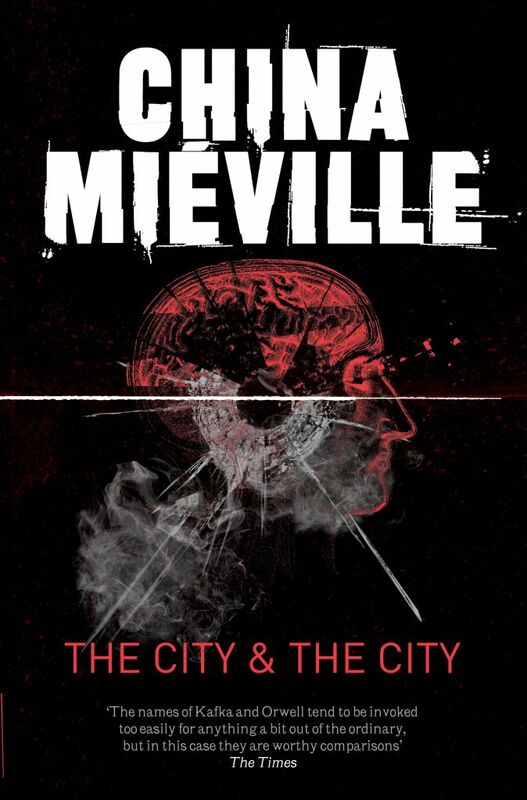 Frankly, Miéville is a very good writer, really rather excellent, but the language used here is pretty dense and this is not an easy-going read. You’ll need to keep your wits about you to remember the laws, how the city is divided, and also everybody’s names. Being set in a fictional location on the edge of Europe, it makes use of linguistics from that area, although possibly fictionalised to some degree. Names are heavy on accents and unfamiliar to English eyes spellings, although most can be guessed at. Tyador, for example, is possibly just a translated version of Theodore. It’s irrelevant, but the large number of unfamiliar names can be a bit daunting and more than once led me into confusion as I had to unpick the threads and work out who was who again. However, aside from the language and the unusual names, I have very little negative to say about this book. The idea of the split cities is handled excellently, and the exposition explaining about it all is natural and never feels forced. It’s not somewhere I’d like to live – I’d imagine it to be a very difficult life for outsiders to acclimatise to (in-universe, all visitors to either city must undergo exams and tests to make sure they understand what they’re letting themselves in for). It answers most questions you imagine you’d have about such a world, including what happens if there is a car accident between vehicles from Besźel and Ul Qoma, how the citizens actually get from city to city, and how crosshatching works. In fact, the only thing that’s never explained is how the two cities came to be like this, although that’s mostly because no one seems to know – it all happened far too long ago. Brief glimpses of characters from other countries (mostly Canada) show that the world has a whole is not unfamiliar with the idea of these twinned cities, and no one seems all that concerned by it. It does appear to be the only city in the world though that has such a quality. At the end of the day, it’s just a crime thriller, but one set in an enchanting and very interesting world, showing all the complications that arise when a policeman can stand mere metres away from a killer, and yet not be able to touch them because, by law, they are in different places. Miéville is, I have read, one of the writers of the “new weird” and I totally see that. I’ll return to him again. Ever wondered if everything is really as it seems? Maybe there’s an alternate series of events running just below the surface of our own world? Have a look at one possible answer in my debut novel, The Atomic Blood-Stained Bus, available now on Amazon, iBooks and SmashWords.